The City of Gary, Indiana, located in Northwest Indiana along the shores of Lake Michigan. 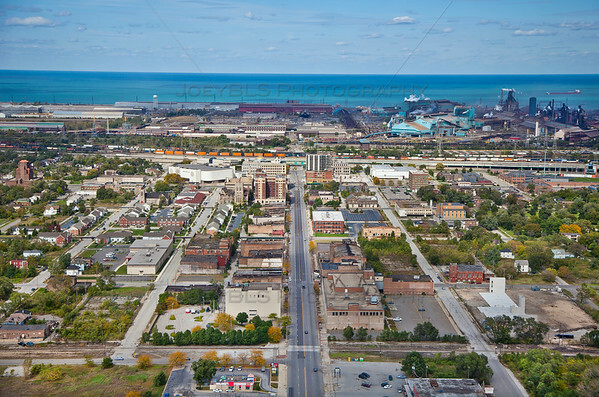 This aerial photo of Gary, Indiana was taken over Broadway Ave looking north towards downtown Gary and the U.S. Steel mill. Gary is known as the Steel City because it was started primary because of the steel mill. Aerial downtown Gary, Indiana by Joey B. Lax-Salinas is licensed under a Creative Commons Attribution-NonCommercial-NoDerivs 3.0 Unported License. Permissions beyond the scope of this license may be available at http://www.joeyblsphotography.com.